John joined Fruitlink’s retail support and consulting team in 2001. 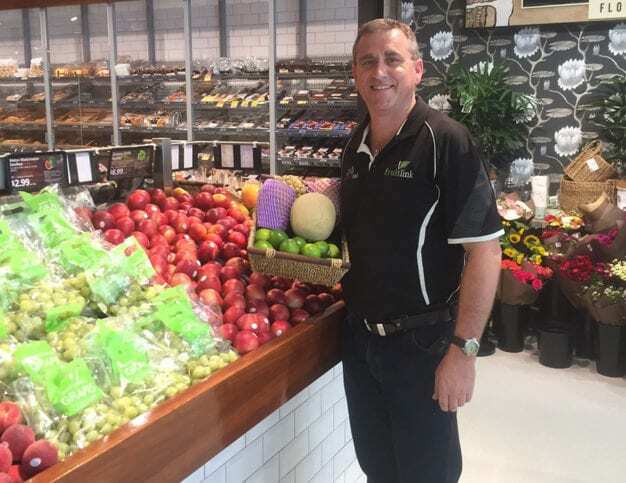 He has an Associate Diploma of Business Marketing, and an encompassing career in retail, store consulting and the fresh produce wholesale industry. He has worked for Today’s Harvest at the Brisbane Markets for their country orders section implementing retail merchandising in stores throughout QLD and NSW. John then managed Fresh Selections Pty Ltd, which was a country order produce wholesaler. He grew the business and was involved in managing all areas of the company including buying, warehousing, operational procedures and systems management. Through his experience and skills, John has helped Fruitlink’s customers achieve business growth and success with in-store merchandising and sales business expansion solutions. John has worked in the retail and merchandising industry his entire working life. From the age of 15, whilst completing his schooling, he worked part-time in fruit shops and managed the fruit market for 2 years before performing in senior positions. He has an impeccable ‘eye for detail’ and the ability to create contemporary retail store relays and promotions that meet the needs of the local consumer.